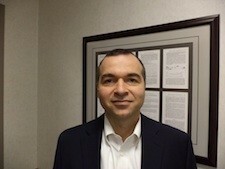 David Badawi, M.D. is a Board Certified and Fellowship trained eye physician and surgeon. He earned an M.D. from Georgetown University where he graduated amongst the top of his class. Dr. Badawi completed his ophthalmology residency at the UCLA-Jules Stein Eye Institute, ranked as one of the top 5 hospitals in the country by U.S. News and World Report and ranked the top eye hospital in the West U.S. Subsequently, he completed a fellowship in Corneal Disease and Transplantation at the prestigious Emory University in Atlanta, Georgia. At Emory, he gained expertise in corneal transplantation and management of complex corneal and ocular surface disease. He is on the faculty of the University of Illinois Eye and Ear Infirmary in Chicago which is also one of the top eye hospitals in the U.S.
Dr. Badawi has authored multiple publications on eye disease, and he practices not only general eye care and corneal surgery but also provides consultations to other ophthalmologists for their patients with corneal problems.